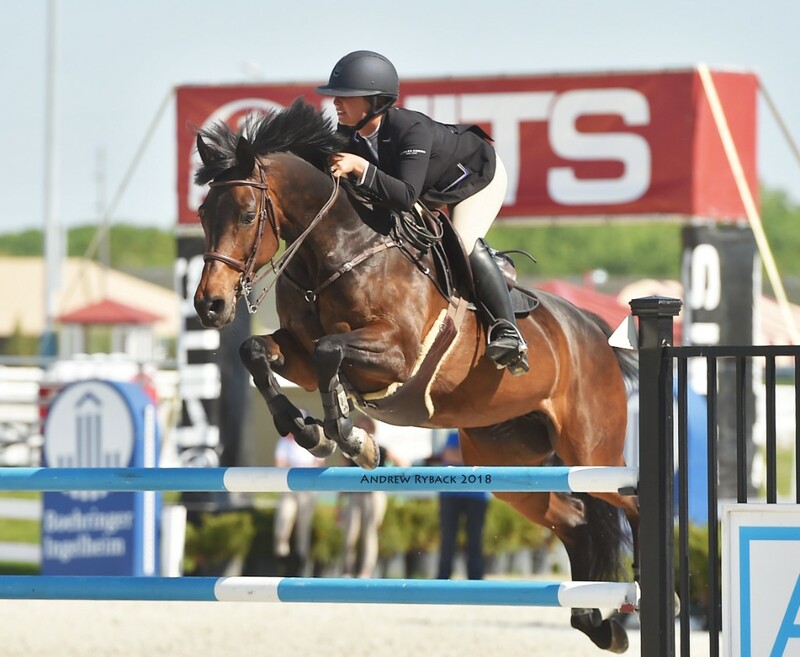 Throughout the summer at HITS Saugerties and HITS Chicago, KindredBio and Summit Joint Performance are sponsoring Leading Rider Awards in their respective classes. 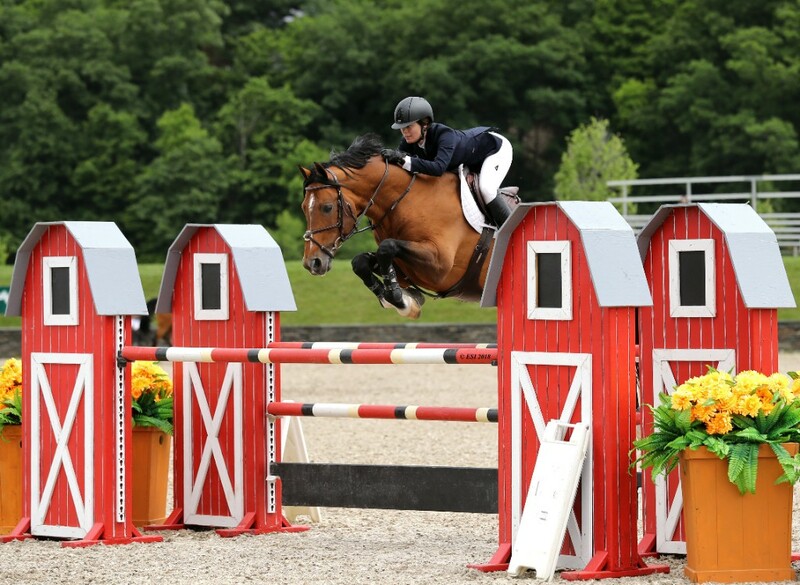 The KindredBio 1.40m Open Jumper and the Summit Joint Performance Jr/A-O/Am 1.35m Jumper Classic take place weekly throughout the HITS Saugerties and HITS Chicago Circuits. With the summer series right around the corner at Saugerties and Chicago, riders are going head to head to earn points. Currently topping the field of Midwest riders competing for the KindredBio Leading Rider Award at HITS Chicago is Lisa Goldman with a total of 40.5 points. Goldman established her lead early on in the season at HITS Chicago. The question is will she be able to hold on to it? Emanuel Andrade captured a win last week aboard GRAN MAMUT. Andrade also took home the second, sixth, seventh, and eight place winnings in the class, along with 16.5 points, for a total of 33.5 points, placing him right behind Goldman. There are still seven more weeks of show jumping competition and chances to earn points in toward the HITS Chicago KindredBio Leading Rider Award. On the East Coast, Laura Chapot is currently holding on to the top slot for the KindredBio Leading Rider Award with a total of 24.5 points. Chapot took the lead during Week III of HITS-on-the-Hudson when she flew to first, second, and fourth place finishes. Michael Hutchinson captured the blue ribbon during Week I and Alberto Michan during Week II, which ties them for second with 10 points each. Pictured above are current leaders of the KindredBio Leading Rider Awards. Lisa Goldman, pictured to the left, currently leads the HITS Chicago standings and Laura Chapot, pictured to the right, has secured the top slot of the HITS Saugerties standings. Junior and Amateur riders are shaking things up in their point chase for the Summit Joint Performance Leading Rider Award. Midwest rider, Bryn Sadler, holds the lead for the HITS Chicago Summit Joint Performance Leading Rider Award with a total of 26 points. Behind Sadler, winning 16 points early on in the season at HITS Chicago, is Paige Matthies. 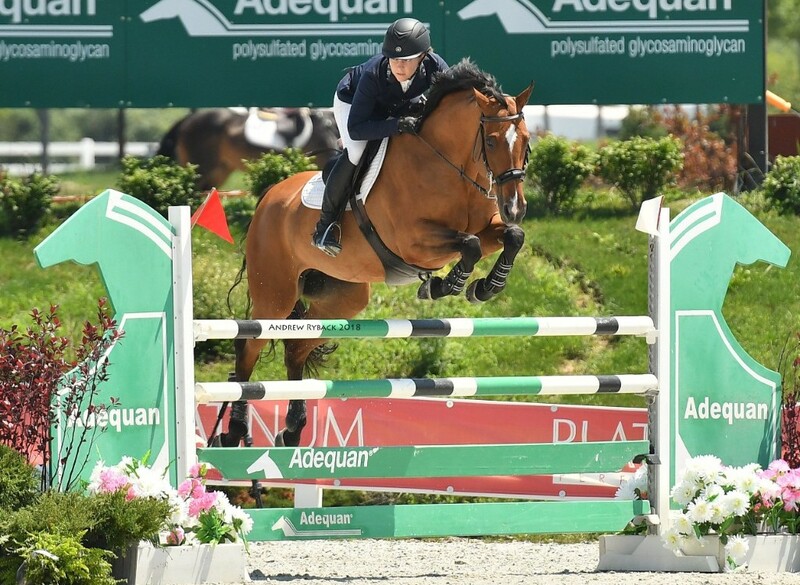 Kelly Tropin holds the lead for the Summit Joint Performance Leading Rider Award on the East Coast after her first and third place finishes at HITS-on-the-Hudson II. Jenny Kocher, who captured a blue ribbon finish Week I, and Abigail Stark, who jumped to a first place finish during Week III, stay tied with 10 points each behind Tropin. 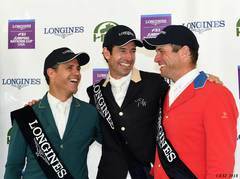 Pictured above are current leaders of the Summit Joint Performance Leading Rider Awards. 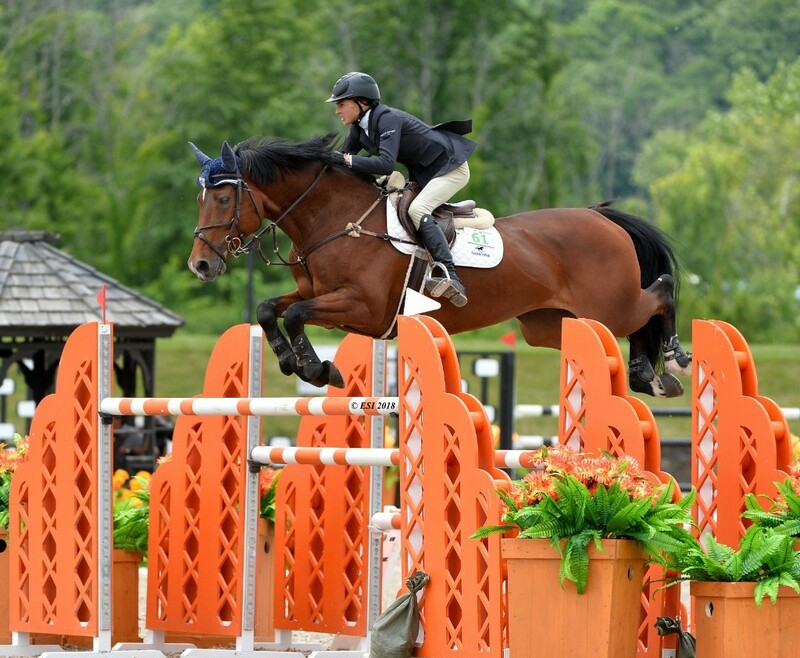 Bryn Sadler, pictured to the left, is currently leading at HITS Chicago and Kelly Tropin, pictured to the right, is currently leading at HITS Saugerties. There are still plenty more chances to earn points toward the leading rider awards. Check out the full Prize Lists for HITS Chicago and HITS Saugerties today and make plans to spend your summer with HITS! To stay up to date with the KindredBio and Summit Joint Performance Leading Rider Awards, visit the respective event pages at HitsShows.com. For more information or question regarding points, please contact us atinfo@hitsshows.com. HITS Saugerties Photography Courtesy of ESI photography. HITS Chicago Photography Courtesy of Andrew Ryback Photography.